Located in the Baku City Circuit district in Baku, 400 m from Formula 1 Grand Prix Baku, Clover Hotel Baku features a restaurant and free WiFi throughout the property. A flat-screen TV is featured. The hotel also offers car hire. Azerbaijan Opera and Ballet Theatre is 600 m from Clover Hotel Baku, while Fountain Square is 1.6 km away. 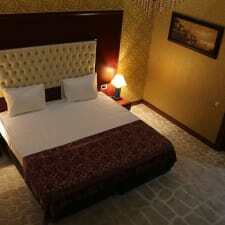 The nearest airport is Heydar Aliyev International Airport, 20 km from Clover Hotel Baku.